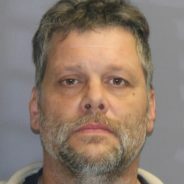 Saratoga County District Attorney Karen A. Heggen announced today that Michael J. Barone (DOB: 1-13-71), 3901 Lewis Road, Ballston Spa, NY, was sentenced following his conviction by a trial jury in Saratoga County Court on July 3, 2018 of Burglary in the Third Degree, in violation of NYS Penal Law Section 140.20, a class “D” felony. Saratoga County Court Judge James A. Murphy, III sentenced defendant Barone to the maximum permissible sentence as a Predicate Felony Offender, an indeterminate term of incarceration in a state correctional facility of 3.5 to 7 years. Judge Murphy also issued an Order of Protection and an Order of Restitution directing Mr. Barone to have no contact with the victim and to reimburse the victim through the Probation Department for the value of the property he was convicted of stealing. Barone’s conviction stems from an incident in the Town of Malta on October 19, 2017. The evidence presented at trial proved that Barone unlawfully entered the victim’s detached garage with the intent to steal a chain saw and gas can. As the trial progressed the jury heard from 4 witnesses and viewed home security video footage of Barone knocking on the victim’s front door moments before the burglary and video footage of Barone placing the victim’s chainsaw and gas can inside his vehicle moments after the burglary. Heggen continued, “We believe the sentence imposed by Judge Murphy is just and appropriate. When criminals continue to re-offend and violate the safety and sanctity of the homes and properties of the hard working citizens of Saratoga County my office will continue to utilize our resources to prosecute them to fullest extent of the law.” DA Heggen also praised “…the investigation by the New York State Police which helped to secure the guilty verdict”.